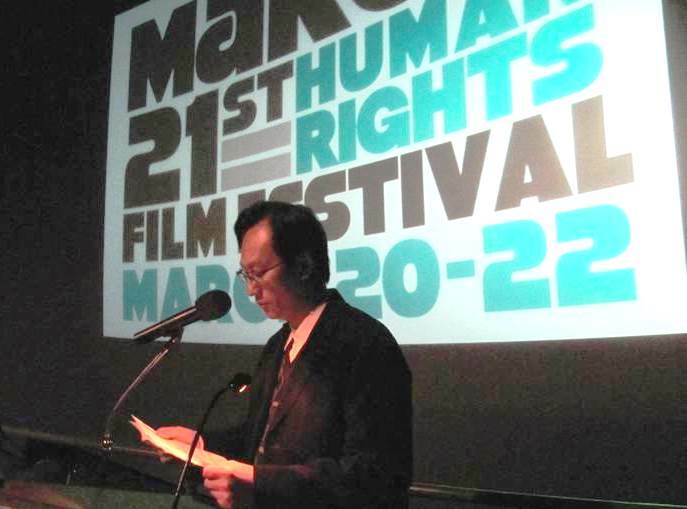 (Minghui.org) On March 20, the film Free China: The Courage to Believe, which has won several international awards, was screened at the Winnipeg Human Rights Film Festival. More than 100 spectators attended the forum after the screening at the IMAX theater. Two professors from the University of Manitoba, specialists in human rights and Asia, gave presentations at the forum. A Falun Gong practitioner also told of his experiences of being persecuted in China. Free China: The Courage to Believe is a 2012 documentary film covering the persecution of Falun Gong. Directed by Michael Perlman, Free China tells the stories of two Falun Gong practitioners who were jailed and persecuted for their belief. It is the winner of many film festivals, including American INSIGHT''s 2012 Free Speech Film Festival and WorldFest''s 2012 Film Festival. The movie has been screened at many international film festivals, and Houses of Parliament and Congresses of many countries, including the United States, the European Union, Canada, Japan, and Sweden. 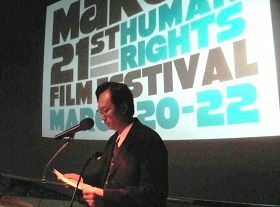 After the screening, Ben Wang, a Falun Gong practitioner from China, gave a talk and told of his experiences of being persecuted in China. He was jailed in a forced labor camp, detention center and a brainwashing center. He was forced to do heavy labor and watch brainwashing videos as part of the Chinese Communist Party''s attempt to force him to renounce his belief. An Asian Studies professor from the University of Manitoba pointed out that the traditional Chinese culture has been lost in China under the communist regime. After the presentations, many people from the audience asked questions. A Vietnamese person, who experienced the communist party''s persecution, asked Ben Wang whether his speech today would put his family members in China in danger. Mr. Wang answered, “As the Falun Gong practitioner in the movie said, somebody has to stand up and expose the persecution. Freedom is not free.” After the forum, many people came up to shake hands with Mr. Wang, welcoming him to Canada, and thanking him for exposing the persecution.